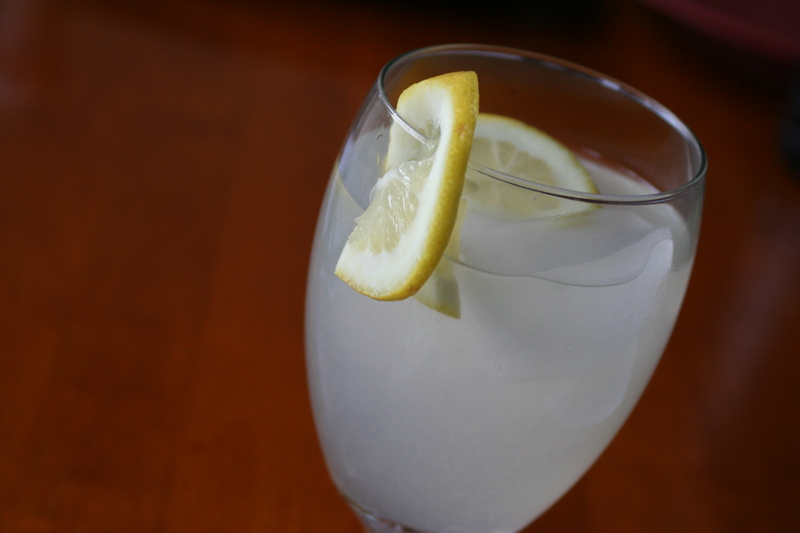 Fresh-squeezed lemonade has been a staple in our refrigerator this summer. Once a week I fill a half-gallon jar and we enjoy it throughout the week. This recipe is super easy and nutritious as it uses stevia to sweeten it, so there is no big sugar hit to your body. Though I know you can find stevia many places, I've found reasonably priced powdered stevia at Trader Joe's. I followed a recipe from The Whole Life Nutrition Cookbook by Alissa Segersten. I love both her cookbook and her blog because they offer inspiring, nourishing recipes. We have been living on this the past few days. It has really helped my sweet cravings! Thanks for posting.